My Master’s Year, with its theme of London’s Markets and World Trade, started with a visit to the Sugar and Slavery Exhibition at the Museum of London Docklands. 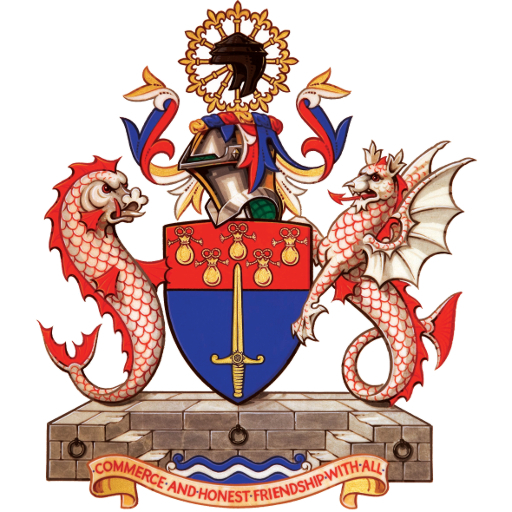 On Sunday I carried out my final Company engagement taking a small group to Greenwich. 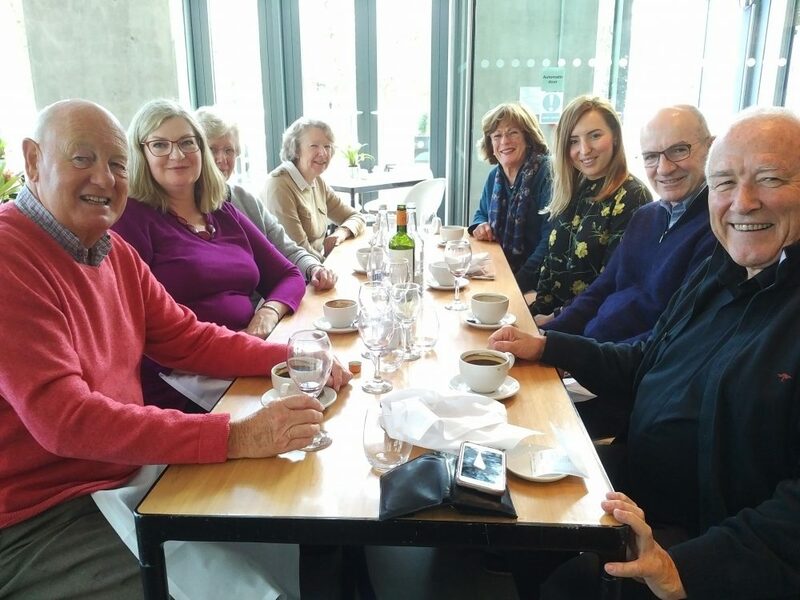 First visit was to the National Maritime Museum where we toured the Franklin Exhibition, named after the Commander of Erebus and Terror who tried and failed in 1845 to find the North West Passage to facilitate trade between Europe and the Far East. A very moving Exhibition, open until January. 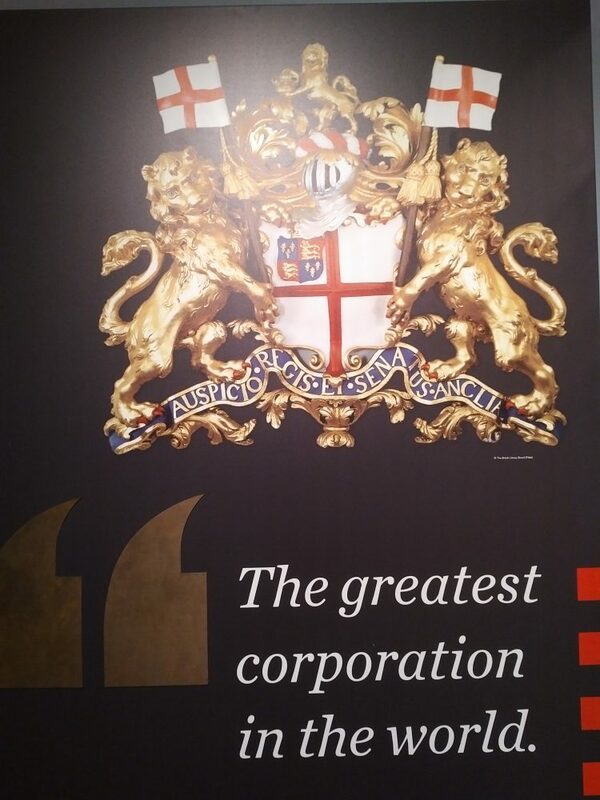 Then to the Trade exhibitions, featuring the Leadenhall Street – based East India Company. 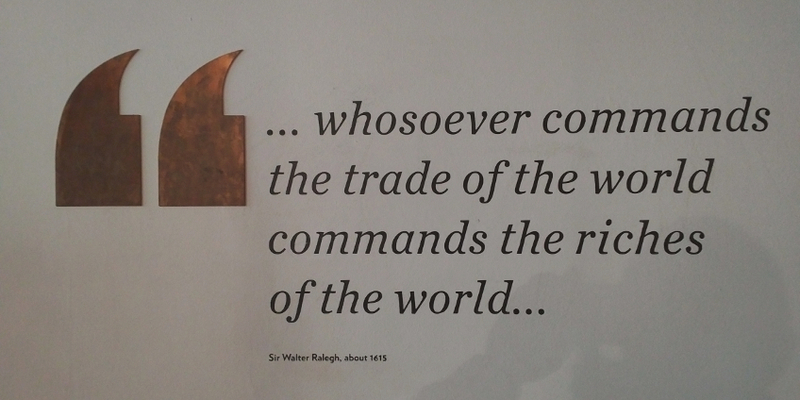 A quote from Sir Walter Raleigh could also have been our Company’s motto! There is also an exhibition of the Atlantic Trade – in goods and people. 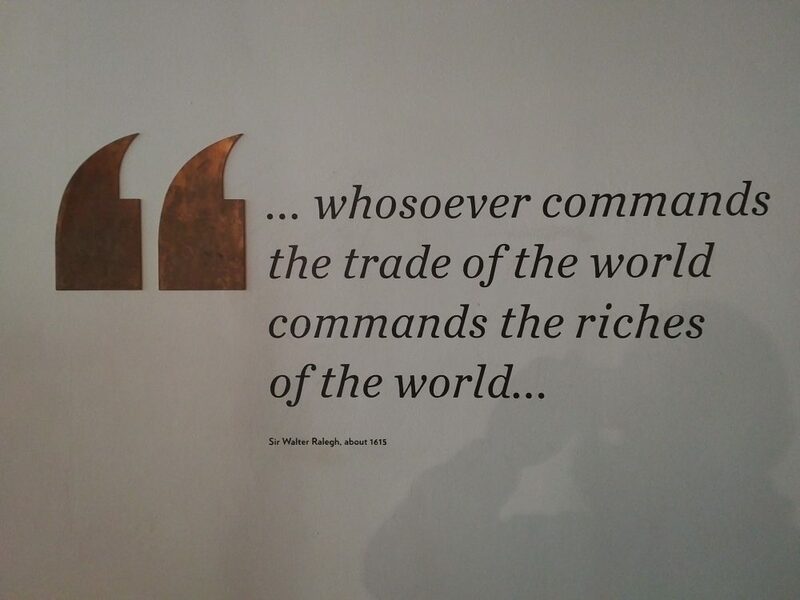 This is an exhibition I commend to all World Traders and their families. 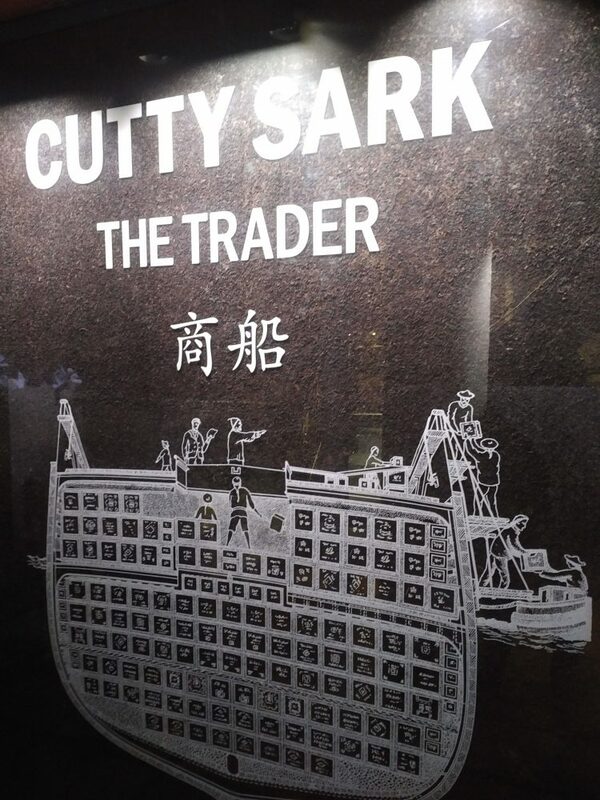 After a perfectly acceptable lunch in the upstairs restaurant, we moved on to Cutty Sark, with her bottom covered in a copper alloy, she was the fastest ship of her time, and made four voyages to China to collect valuable cargoes of tea. When the Suez Canal rendered the long sea route unprofitable, and steamships replaced the clippers, Cutty Sark was modified for other cargoes, sold, laid up, rescued to be a training ship, and was opened as a visitor attraction by the Queen in the early years of her reign. She returned to re-open the exhibition after the extensive refit following a disastrous fire which happened during restoration work. This happened the day after a visit by the Duke of Edinburgh. There is no truth in the story that the fire was caused by one of his cigarette stubs! Tea to finish. An educational and enjoyable day which we all commend. Here are some photos from the visit.